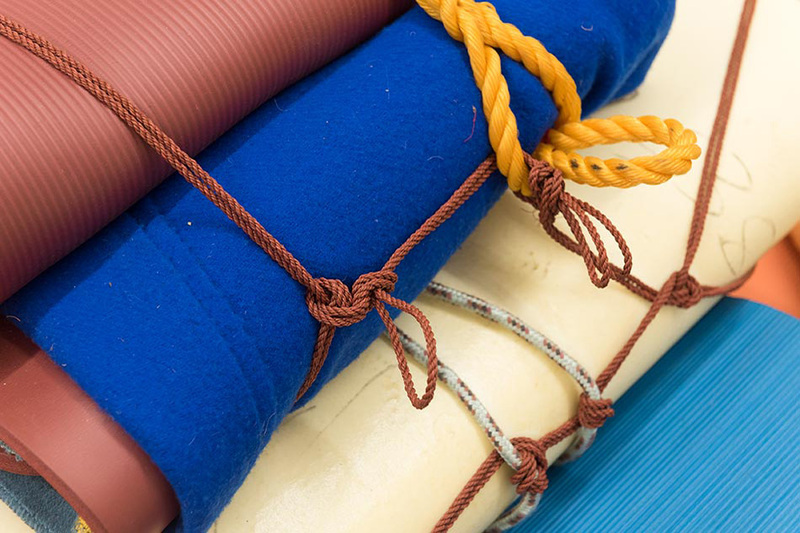 Hug Tuck Fold Pack – stage 3 is an installation made from textiles, soft materials and objects. 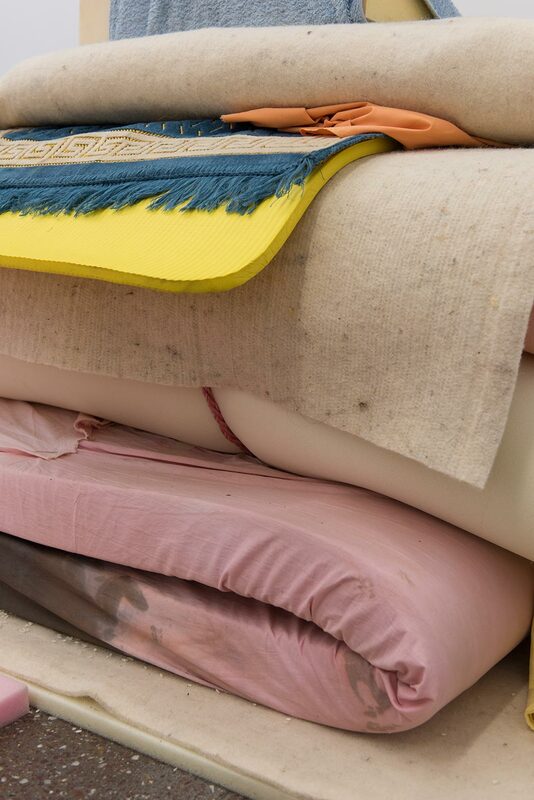 During the exhibition period the work undergoes various stages of transformation in which borders between matter, space and bodies liquify as the work is remoulded. 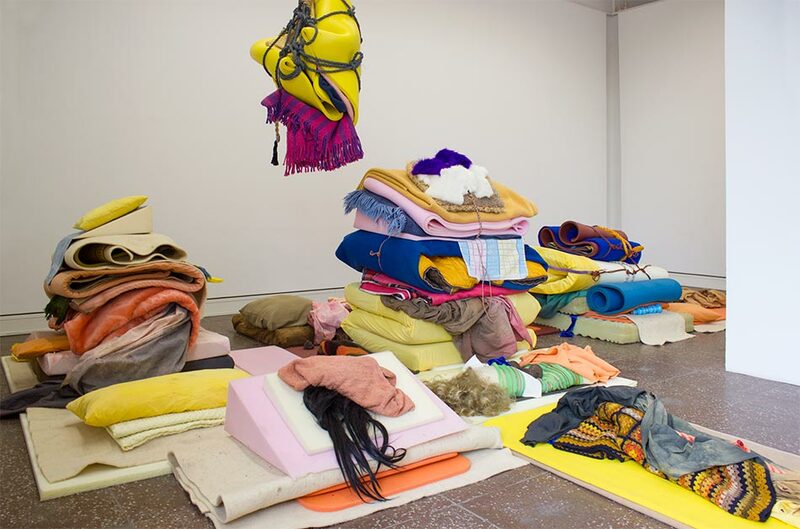 In its first stage Hug Tuck Fold Pack – stage 1 the installation is taking over the entire gallery floor as a series of 20 sculptural beds. 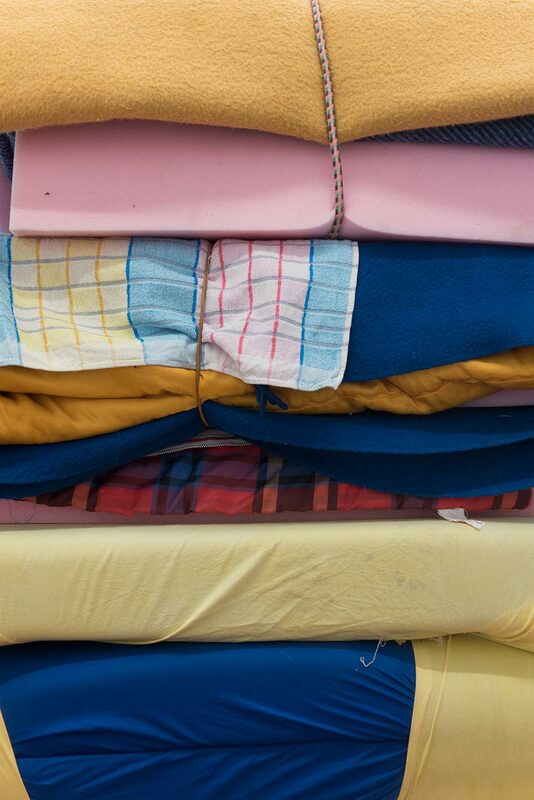 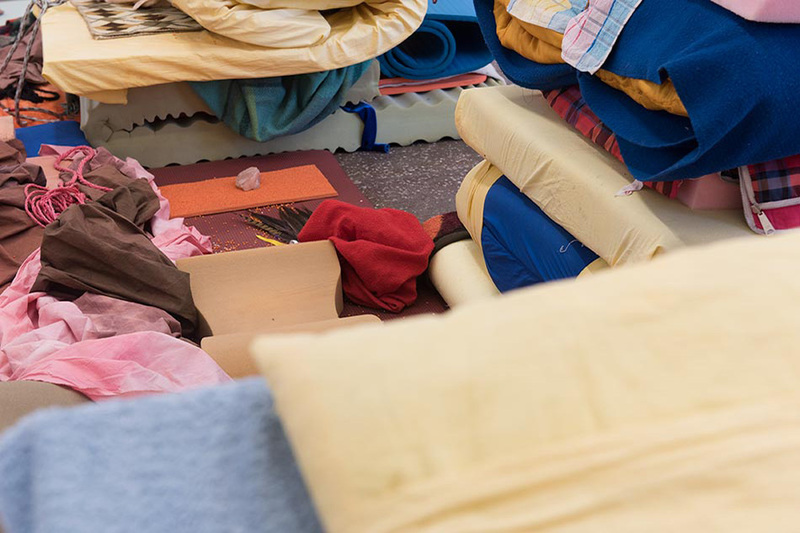 Each bed is adorned with objects, folded blankets, fabrics and cushions that are both assembled aesthetically as a collage of materials and as individual beds designed for sleeping. 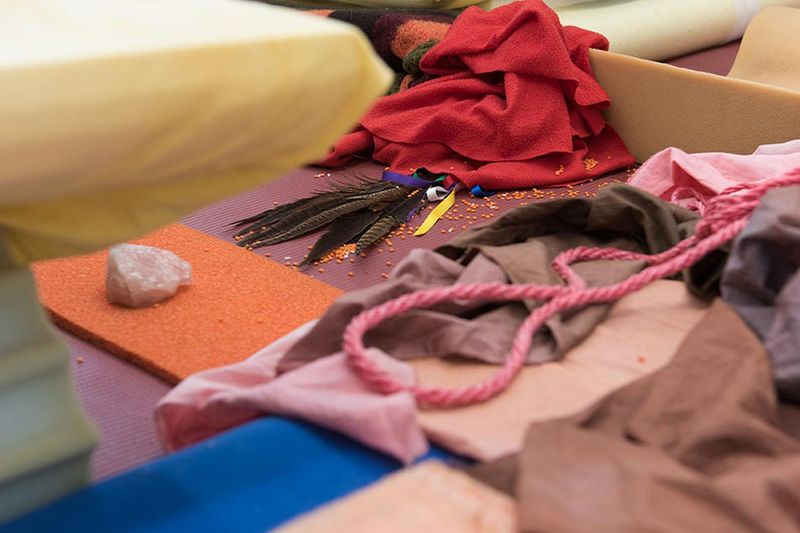 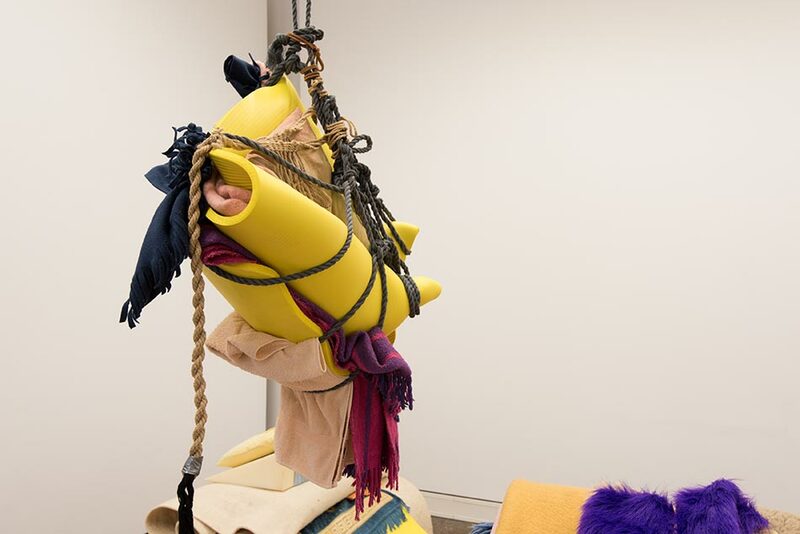 The objects placed upon the beds suggest a potential performative action; an indication of what follows in the second stage of the work where an audience group of 20 people is invited to take part in an overnight ritual and sleep performance Hug Tuck Fold Pack – stage 2. 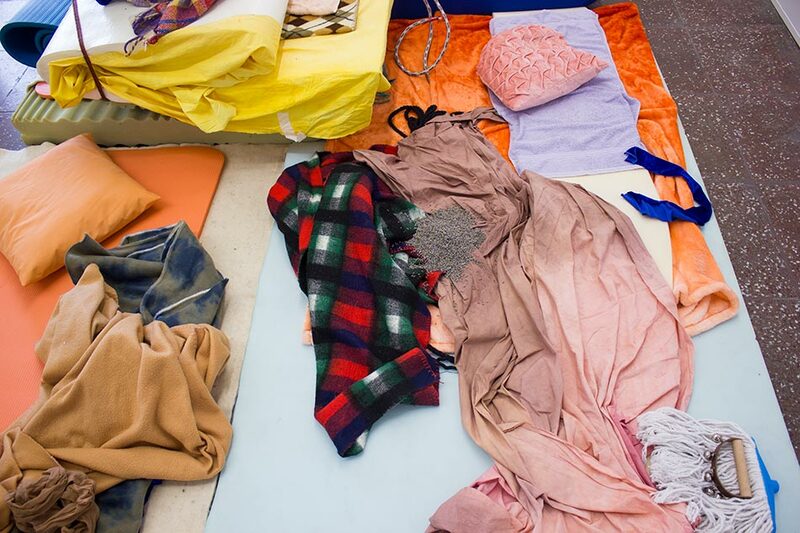 Impregnated and altered through the performative process the materials are finally transformed into a condensed sculptural form Hug Tuck Fold Pack – stage 3 to remain in the gallery for the duration of the show. 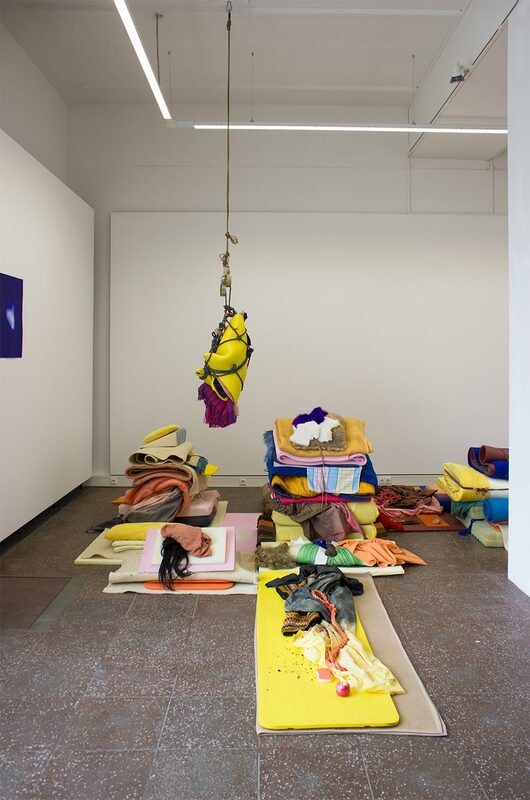 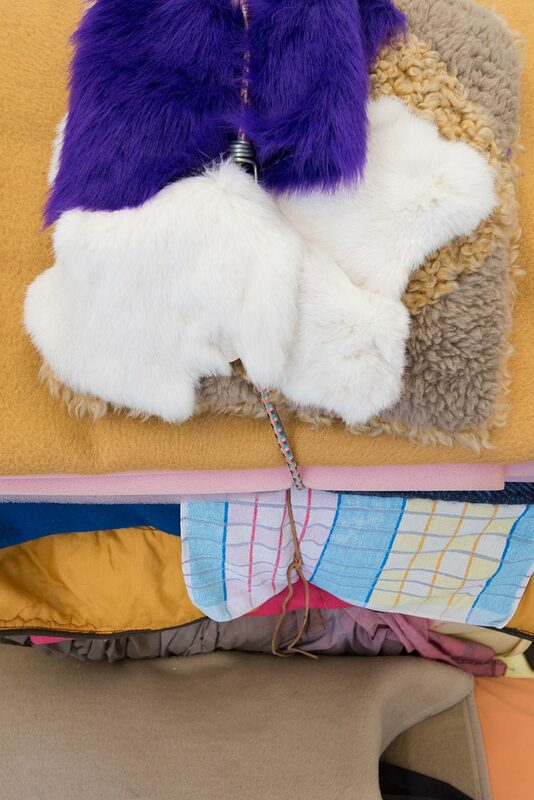 Hug Tuck Fold Pack (stages 1-3) is a part of Turm Turm Turm – die Galerie in drei Kapiteln: Formen, Erfahren, Verfassen an exhibition in three parts with Stephanie Keitz, J&K, Lola Göller, June 24th – August 28th, 2016 at Galerie im Turm, curated by Celina Basra & Melina Gerstemann.